Update your dining room with the fresh look of the Query Dining Table by Zuo Modern. 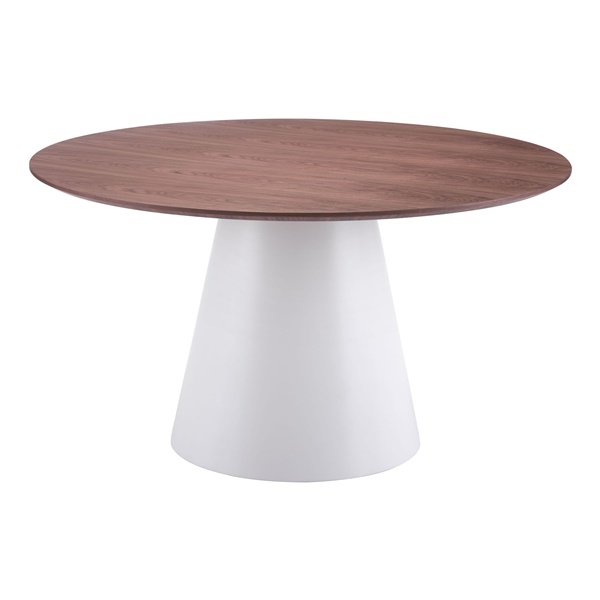 Crafted from painted MDF, this table's round surface is covered in a rich, walnut veneer for a traditional design reminiscent of mid-century styles. Perfect for entertaining in a smaller area, we love the matte white cone-shaped base. Enjoy a romantic dinner or toast with friends on this showstopper of a dining table. You're sure to bring sophistication and style to your home with the Query Dining Table by Zuo Modern.